I’ve been tagged by the wonderfully imaginative and fun Catherine Stine in a blog game called The Next Big Thing. The game involves answering questions about your work in progress or a new piece, that you’d love to become the next big thing! For me, that’s the sequel to my book, A HUMAN ELEMENT. My readers had asked for a sequel and I balked. It was a standalone. I just knew it. Then I woke up with a vision one day of the book. I dropped the over-outlined novel I was working on and started plotting A HIDDEN ELEMENT. I was excited to re-visit some old characters and discover new ones. I do love me some Hugh Jackman for an older Ben Fieldstone. Here is Ben as a younger version. Skulking hottie or what? When a family’s son is taken by the same unearthly evil that brutalized them fifteen years ago they must sacrifice all again to defeat a new terrifying enemy–an enemy that wants to rule the world with their son as his heir. Not sure yet. It’s still in revisions. I haven’t traveled down the indie road yet, but it’s something I would consider. The silent dark hung under a star-filled sky. Adrian picked up his bag and scanned his crew across the field, counting quickly. Seventy-five. They understood their duty and accepted it. They were chosen by him in secret. None would return. There was nothing to go back to except buytramadolbest.com/ambien.html death. His son, Caleb, stood across from him, waiting as the others did. Their pale faces glowed like orbs within their gray hooded robes. It was too dark to see if his son’s face held scorn or doubt. It was usually one or the other. My readers! And a vision. And character’s to love. Love, loss, and redemption. It’s got all that angst plus the same cross-genre mix that readers loved about the first book, A HUMAN ELEMENT. Sci-fi, horror, romance, and the paranormal. Catherine Stine tagged me and I’m tagging some of my favorite folks! The Next Big Thing. Great post and interview. I have been tagged also, so I had better get my 3 people tagged and answer up some questions. This is a great way to meet other people and introduce them to what you are doing and get a little background info about their favorite authors and new authors they might want to get to know. Hidden Element sounds intrigueing and cant wait to read it. Love the show Haven and am a fan of Servents of Twilight. Have you seen the TV show Grim? Reggie, I added you! Wasnt sure if you were an “in” so didnt want to commit you but glad you are! I havent seem Grim but wanted to check it out – thanks for the reminder. Coolness! I’ll get to work on my post as soon as I can. And search for five more unsuspecting bloggers….. Your sequel sounds awesome. 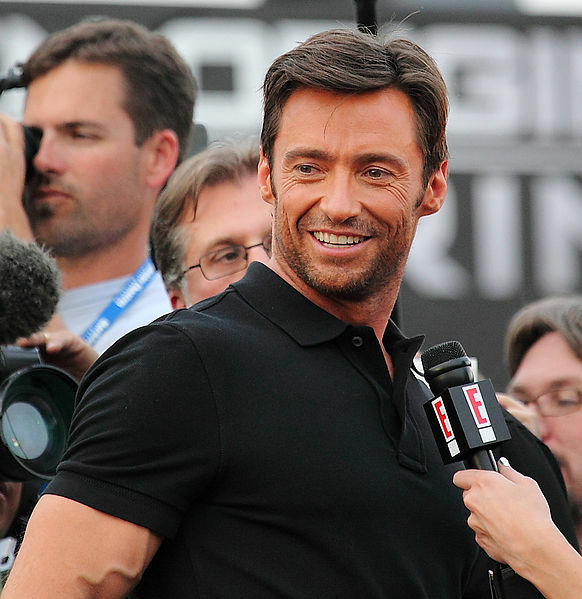 Yes, Hugh Jackman would make a great older Ben. And I had the same reaction as you did to writing a sequel: panic and then intrigue, followed by junking a tight, already written 3-page synopsis. I changed my main character from a guy to a girl, and we’ll see what happens. Still writing it-7 months for the draft sounds fine to me! Thanks for playing the Next Big Thing game. Hey Catherine, this was fun! Now I can moon over Hugh some more 🙂 How fascinating you changed the MC from a guy to a girl – that would change the entire book feel! Panic and intrigue…yep, thats about right! Thanks for tagging me.